Operation of a wireless microwave link licensed to British Telecommunications (BT). In order to address these concerns the wind farm developer, Infinis Energy Services Limited, commissioned Pager Power to undertake necessary investigations, in-situ surveys and engage with the relevant stakeholders. Our results and discussions with the stakeholders contributed in resolving concerns. The five turbine development, hereafter referred to as the Westfield Wind Farm, was to be located in an unused former coal site close to the village of Kinglassie. The proposed Westfield Wind Farm by Infinis Energy Services Limited was to consist of five turbines with a tip height of 110m. 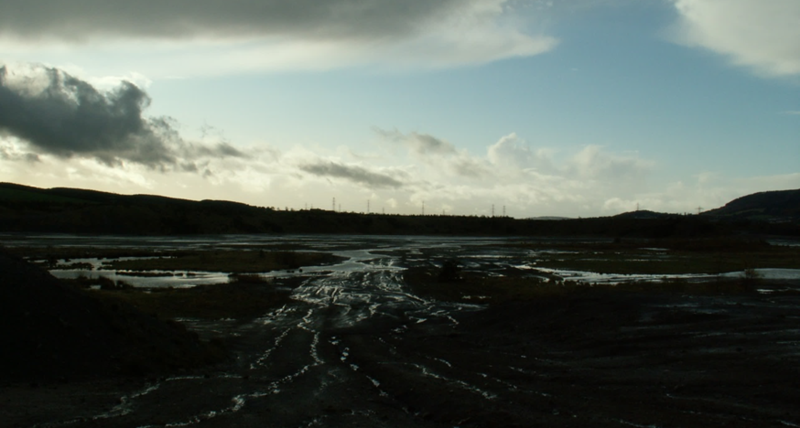 The location of the project is an unused former coal site close to the village of Kinglassie. Figure 2 shows the proposed site during a visit in November 2009. Needing to know more about the concerns raised, the wind farm developer, Infinis Energy Services Limited, commissioned Pager Power to investigate. The Met Office raised an objection due to potential effects on the nearby Munduff Hill Meteorological Radar. The proposed wind turbines were at such distances from the radar that an initial objection could have been sustained. Fife Airport raised concerns due to the proposed wind turbines posing a “Significant risk to flight safety”. The Scottish Gliding Centre based at Portmoak Airfield, expressed concerns over potential negative impacts of the proposed wind turbines on gliding activity. 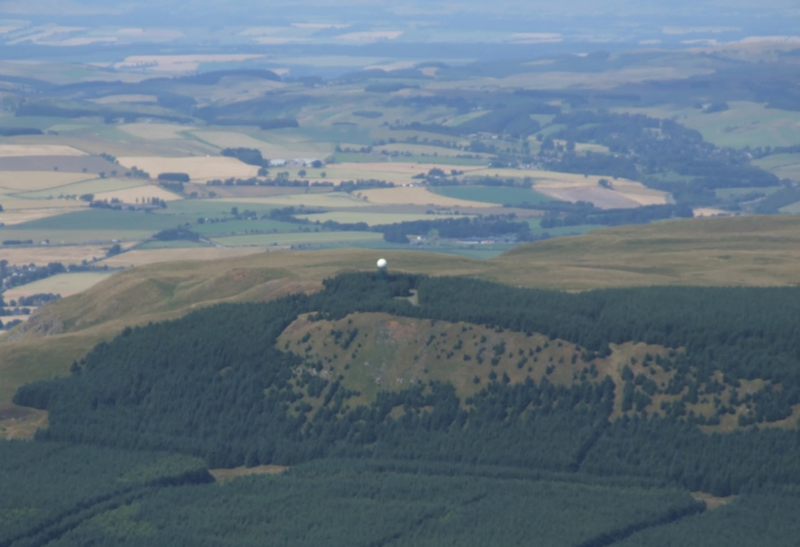 British Telecommunications (BT) expressed concerns for one of the Westfield turbines due to its proximity to a wireless microwave radio link between East Lomond and Crossgates Farm Cuttle Hill. The NATS self-assessment maps were unclear as the Westfield site was on the boundary between an area of “likely to interfere” and “may interfere”. Further analysis was required to clarify whether any concerns would be raised. In the first instance we undertook initial technical analysis and attended a meeting with Met Office representatives. Following the meeting we had a better understanding of the concerns and agreed to undertake a Meteorological Radar Impact Assessment for the Munduff Hill Met Radar. The assessment considered Shadowing, Clutter and Doppler interference mechanisms. The results of the assessment provided a better insight on potential interference effects which were followed up by further analysis and discussions with the Met Office. Figure 4 shows Munduff Hill Meteorological Radar. The picture was taken during a Pager Power flight around the Westfield site. Review of the Air Navigation Order (ANO) and other relevant official guidelines. Analysis of protected surfaces analysis as per Civil Aviation Authority’s (CAA) guidelines (3D visualisation in Figure 5). Consideration of Aeronautical Lighting, Turbulence and our previous experience when flying in the vicinity of operational wind turbines. Flying activity in the vicinity of the Westfield Wind Farm considering Visual Flight Rules (VFR), Visibility of the Wind Turbines, Circuit Patterns (with and without the Westfield Wind Turbines), Avoiding Turbines on Take Off, Downdraughts, Altimeter Setting Errors, Overhead Joins, Flight Training, Engine Failure After Take Off (EFATO) among others. Review of specific UK airports operating in constrained airspace whilst offering flight training. 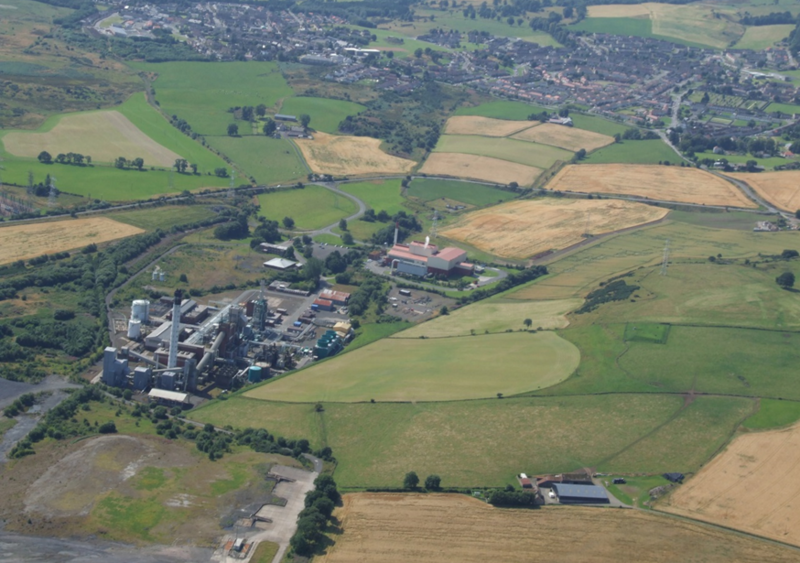 Discussion on Fife Aerodrome’s safety assessment. Consideration of cumulative impacts from other wind farms. An in-situ investigation for alternative landing areas during EFATO. Hands on experience flying into Fife Airport and over the proposed site in a Cessna 182. 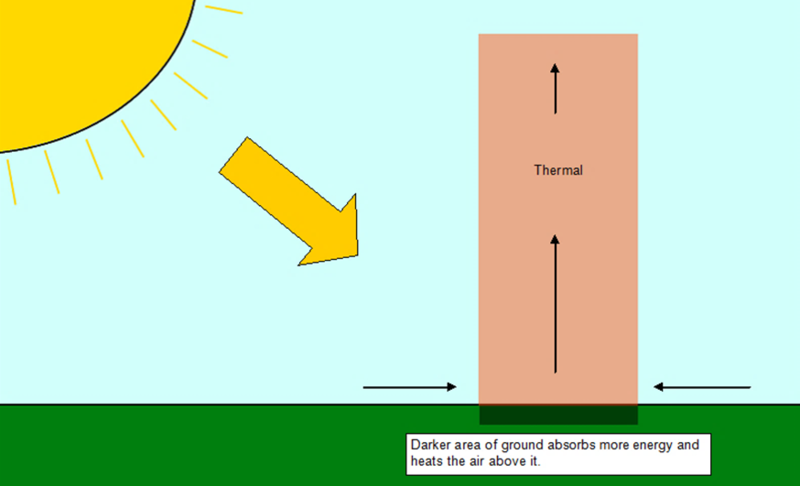 To address the concerns regarding thermals we undertook initial analysis and produced a briefing note, explaining how thermals are formed and the effect the wind turbines have on them. Figure 7 shows a diagram produced by Pager Power. 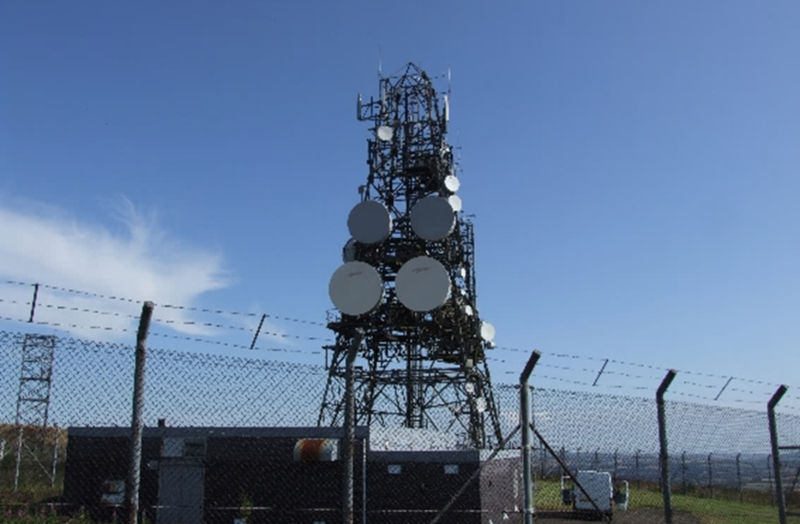 A survey was undertaken of the BT wireless microwave link ends for which concerns had been raised. The survey measured the link end antennae coordinates and heights at East Lomond and Crossgates Cuttlehill Farm. The acquired survey data were used to undertake 3D analysis using Ofcom guidelines. 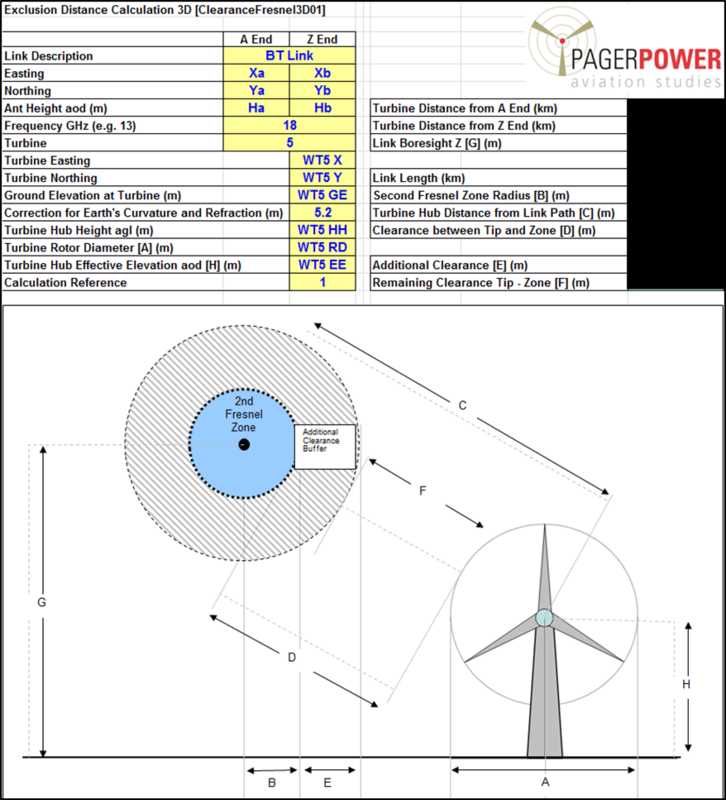 An example calculation for Wind Turbine 5 (WT5) is shown in Figure 8. The most likely NATS En-Route Radar to be affected was Lowther Hill Primary Surveillance Radar (PSR). Radar line of sight analysis for all five wind turbines was undertaken to clarify the results of the NATS self-assessment maps. The results showed that all wind turbines were likely to be below radar line of sight by a margin of over 75m. Given that margin no concerns from NATS En-Route were expected. 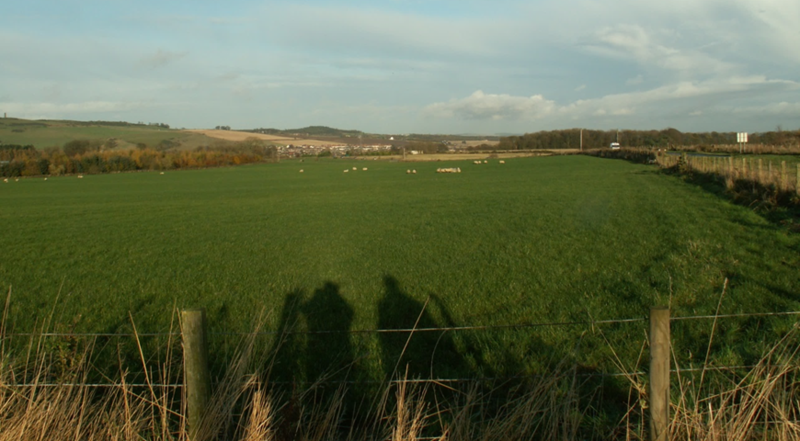 The NATS Lowther Hill PSR line of sight to Westfield Wind Turbine 1 is shown in Figure 9. Using radar modelling, comparisons, experience of wind farms in the vicinity of Meteorological radar, and discussions with the Met Office it was concluded that the proposed wind turbines were unlikely to significantly affect the operation of Munduff Hill Meteorological Radar. As a result of the Met Office objection was withdrawn. Following work undertaken from Pager Power and other consultants (which agreed with the overall Pager Power’s conclusions) and discussions between the developer and the airport the objection was withdrawn. The thermals assessment concluded that there may be a minor impact; however this would be likely to go unnoticed, and in fact might create some positive effects for glider pilots. No further concerns or comments were received by the Scottish Gliding Centre regarding thermals. Interference to the BT microwave link was deemed unlikely following the link ends survey and 3D analysis. 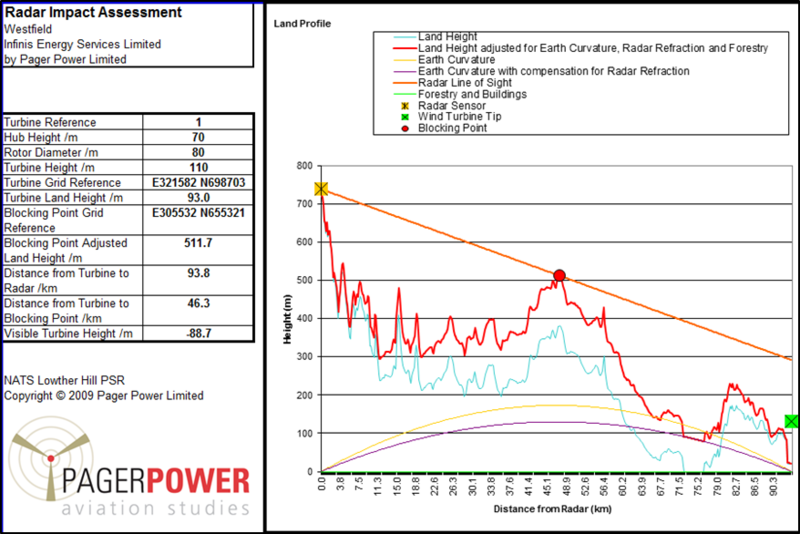 The radar line of sight analysis showed that potential interference to NATS Lowther Hill PSR was most unlikely as the turbines would be significantly below radar line of sight. Overall following the efforts of Infinis Services Limited, Pager Power, other consultants and contributing parties the wind farm received planning permission. The Westfield Wind Farm has an installed capacity of 10MW comprised of four 2.5MW Nordex N90. “View towards Westfield Wind Farm” by Robbie2MS / Image sourced from Lochgelly – Going Forward / Image resized and shape altered from original. “Pager Power Survey 03/11/2009” Image taken by Mike Watson and Jan Georgopoulos. © Pager Power. “Pager Power Survey 07/08/2009” Image taken by Mike Watson. © Pager Power. “Pager Power Flight 07/08/2009” Image taken by Mike Watson. © Pager Power. “Pager Power Protected Surfaces of Fife Airport 06/01/2010” © Pager Power. “Pager Power Flight to Fife Airport 07/08/2009” Image taken by Mike Watson. © Pager Power. “Pager Power Surveying for alternative landing areas 03/11/2009” Image taken by © Pager Power. “Pager Power Site Visit 03/11/2009” Image taken by Mike Watson. © Pager Power.